Welcome to Honda-Yamaha of Laurel, where we beat the deals other dealers say can't be beat. We take great pride in taking care of our customers with the Best Deals on new Honda ATV's, Honda motorcycles,, and Honda side by sides. We've been doing this since 1999 and have sold a lot of Hondas over the years, not only to our local customers, but also our customers who make the drive from out of state to save big. As of May, 2016, we are also a Yamaha dealer. 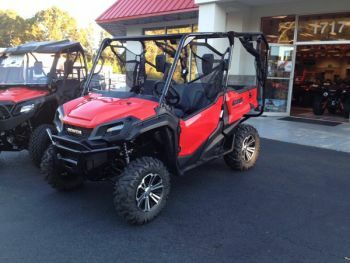 We are now able to bring our customers our Best Deals on the great Yamaha line of ATV's, motorcycles, and side by sides. We are Mississippi's #1 dealer for Hustler Turf Equipment, the original zero-turn mowers. We also are your dealer for Redmaxx Power Equipment, and Vortex pressure washers. With Honda's and Yamaha's exciting line-up of ATV's, On-road Motorcycles, Off-road Motorcycles, and MUV's, we have something for everyone at the Best Deal. We offer financing to help get you riding. We believe in taking care of our customers after the sale by offering top quality parts/accessory and service departments. For your next Honda, Yamaha, or Hustler purchase, come see us for your guaranteed unbeatable deal.